I found this article from the Los Angeles Times to be very fun. The city of San Francisco will be celebrating Tony Bennet’s iconic song “I Left My Heart in San Francisco,” by blasting the song and encouraging all to take a moment to sing at Noon on Valentine’s Day. According to the article, it is, more or less, the 50th anniversary of when Tony Bennett first crooned the song in the Venetian Room of the Fairmont Hotel. If I lived in San Francisco, I would participate. And, even though I’m in the Los Angeles area, I still might! The perfect end to our 13 day road trip extravaganza was a visit with David’s Aunt and Uncle and my bestest friend Crystal. We started the day of sight seeing with a tour of the Capital Building. 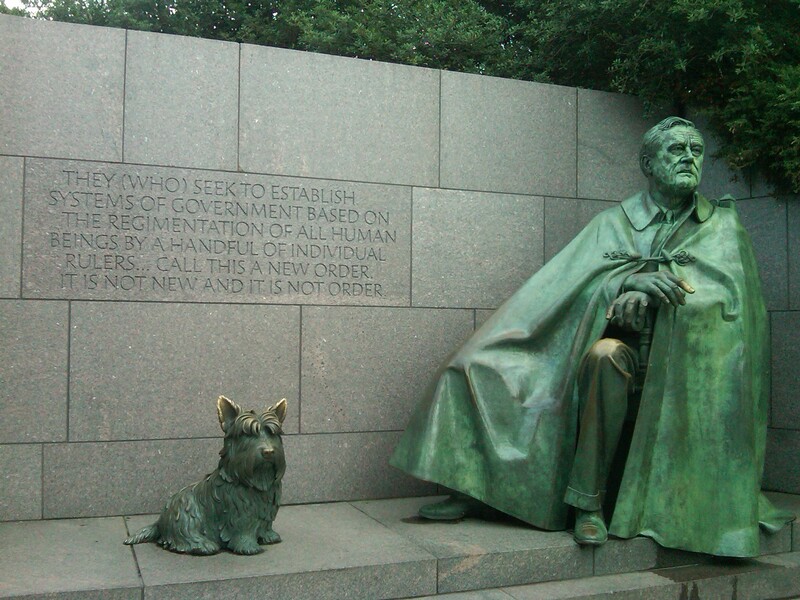 Did you know that each state has two statues inside the Capital Building? 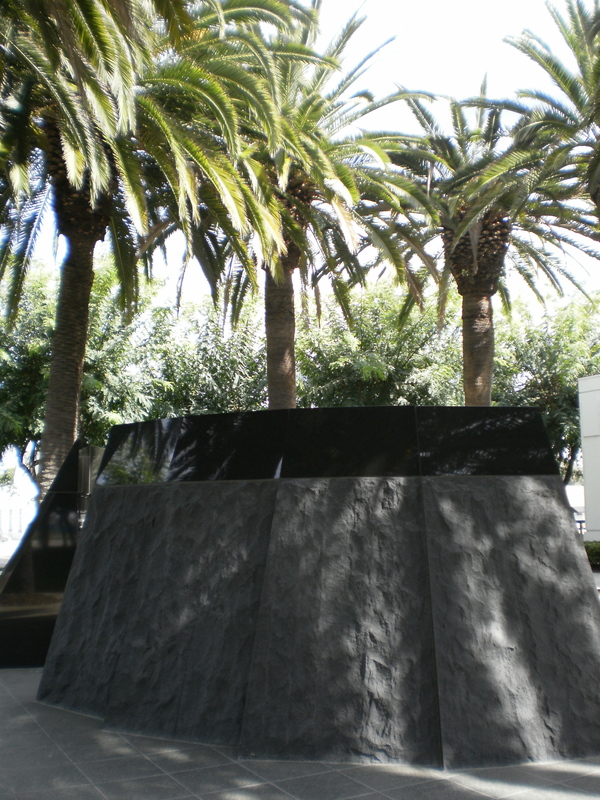 California has a statue of Ronald Reagan and Junipero Serra. Oh and in the old House of Representatives chambers, there is a “whisper” spot. 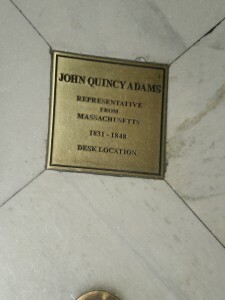 John Quincy Adams had the desk in the whisper spot. From this place, he could hear, clear as a bell, the conversations taking place across the hall. 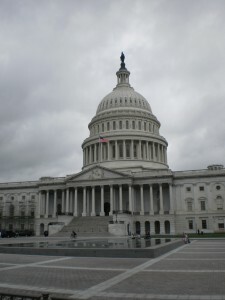 The Capital Building from the front. 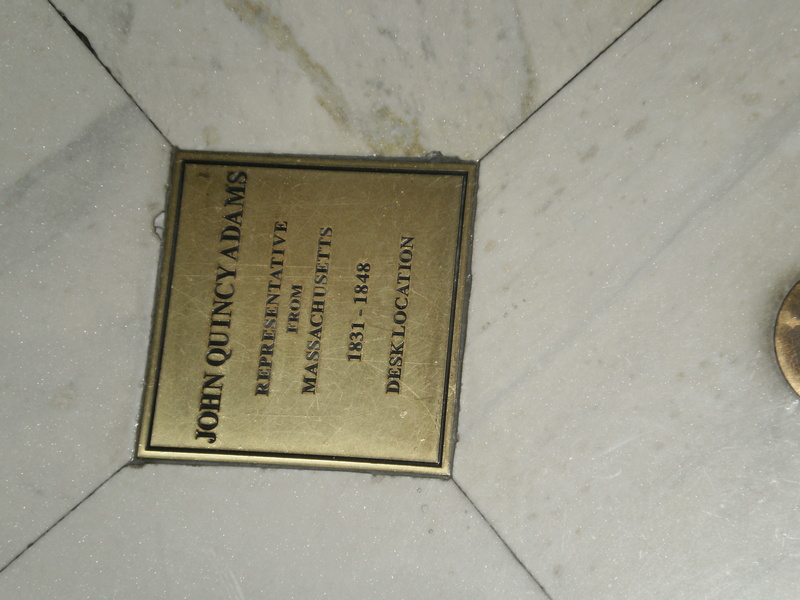 A plaque marking the spot where John Quincy Adam's desk stood. 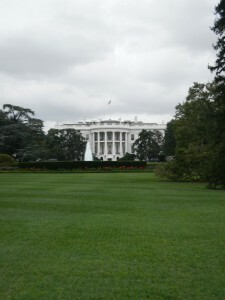 Our last tourist activity today was to walk by The White House. 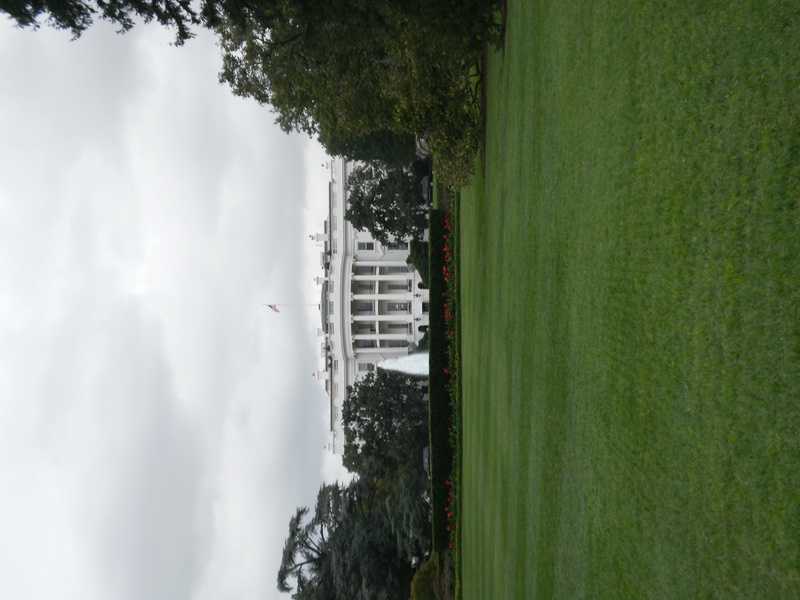 It’s hard to have a trip to Washington, DC without walking by The White House. Unfortunately, we didn’t have an appointment or invitation to enter the building. This is as close as we could get. The White House through the gate that surrounds it. The day ended with a fantastic Trinidadian meal at a restaurant chosen by Crystal. If you ever get the chance, the Brown Stew Chicken from the Islander Carribean Restaurant and Lounge. Tomorrow we head home via the National Air and Space Museum Steven F. Udvar-Hazy Center. The newest of the memorials on the National Mall (MLK, Jr.) was certainly a sight to see. However, I’m just not sure it has the right feel to it. It’s very stark and unfeeling for such a passionate man. My favorite remains the Theodore Delano Roosevelt Memorial. None of the other monuments and memorials have the same immersive yet comfortable experience as the Roosevelt walk. 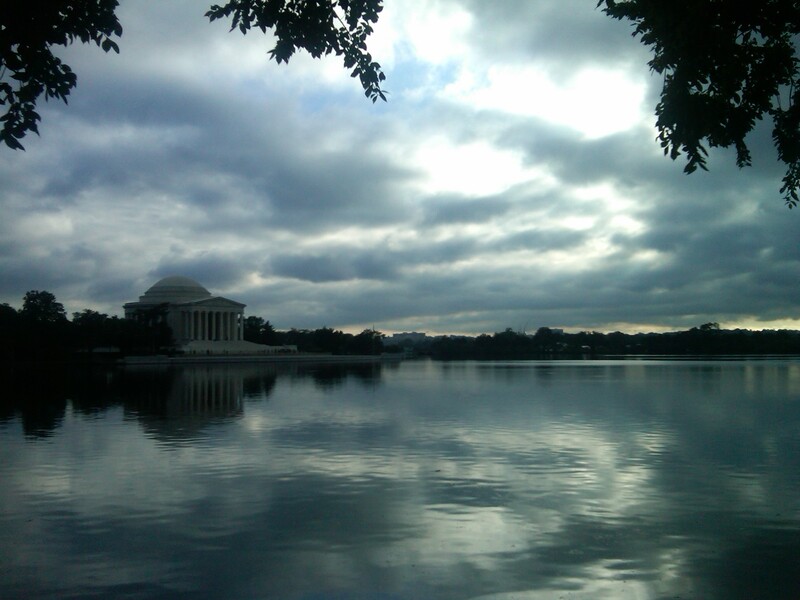 While wandering around the Tidal Basin, I was able to capture some amazing photos using my BlackBerry Tour. It does pretty well for a phone camera. A view of the Jefferson Monument from across the Tidal Basin. 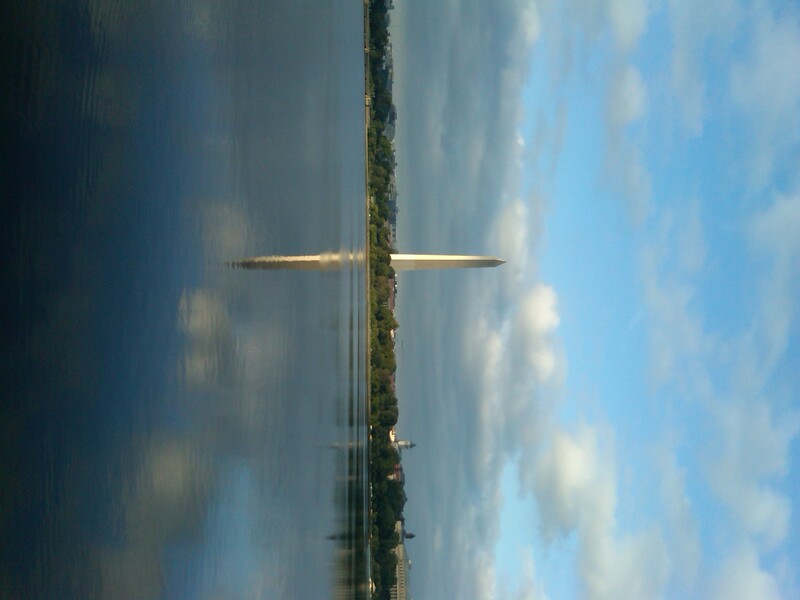 Washington Monument from across the TIdal Basin. One of my favorite images of the Roosevelt Memorial. 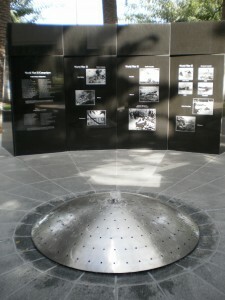 More from the other memorials on Flickr. 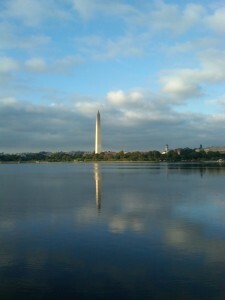 Tomorrow, more from Washington DC. 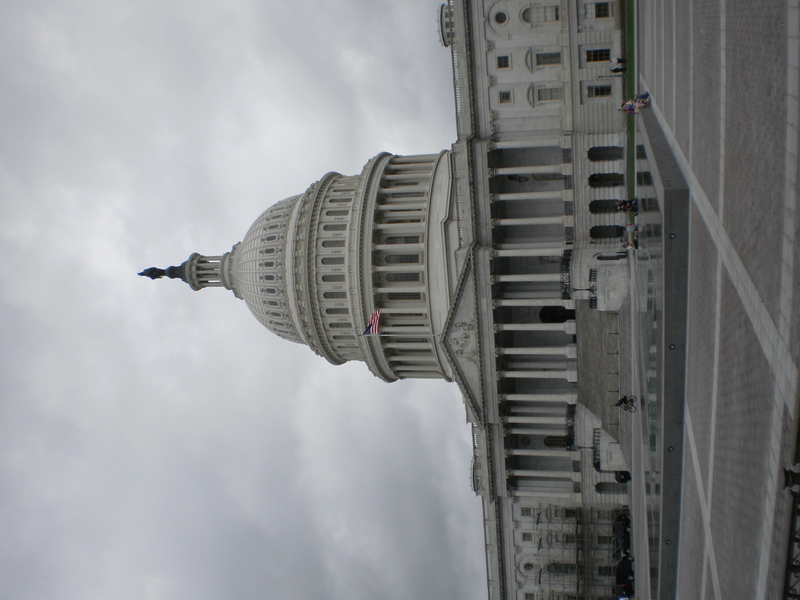 On the tentative list: Library of Congress, Supreme Court, the Capital Building and one of the National Galleries.